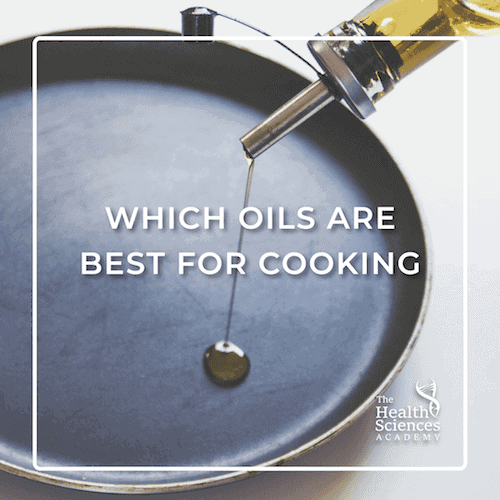 Here's the bottom line: some oils are better suited for cooking than others. Let's start with the smoke point first. At the other end, there are oils with polyunsaturated fats. These are oils like soybean, corn, canola, sunflower, and safflower. They're unstable fats – they’re not bound together tightly at all. Because they are unstable, they can produce higher levels of free radicals when they're heated. And, as we said before, we don't want too many free radicals in our bodies. Based on the above, here are the best cooking oils to use in the kitchen in order to reduce free radical exposure and toxicity. The simplest way to break this down is by the level of cooking heat you are using. How about off-heat options, such as over a finished dish, after it's been cooked? For maximum flavour, you can go for unfiltered extra virgin olive oil and unrefined or toasted nut and seed oils.